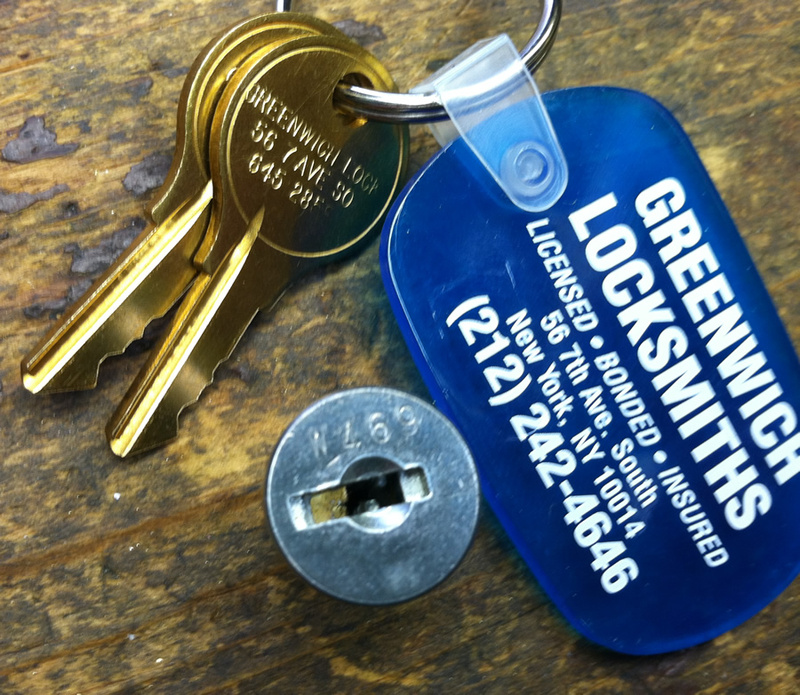 Greenwich Locksmiths offers RFID / key fob cloning services on site in our West Village store. Whether you need an extra fob for the dog walker or a spare for yourself we can make as many fobs as you need while you wait. 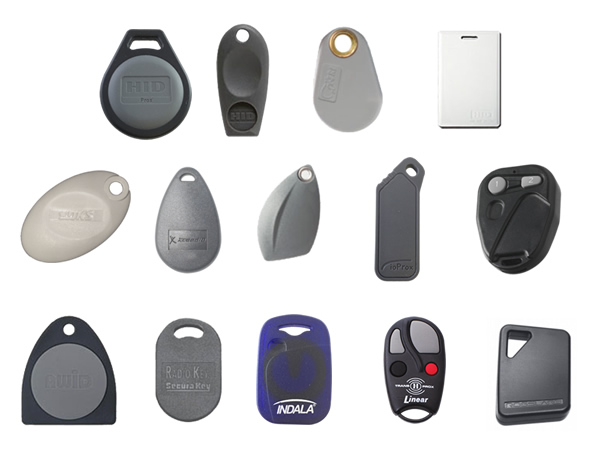 As licensed locksmiths we can copy HID and Keri fobs as well as many others. We support many other formats in addition to those pictured above. If you are unsure bring your fob in! We will check it for free. 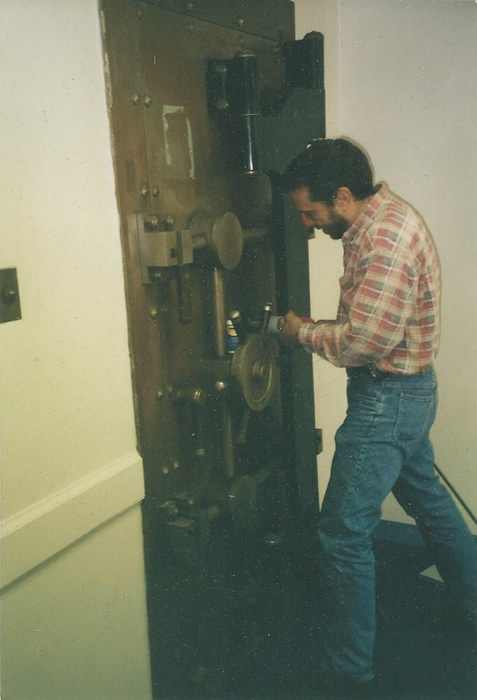 Don't let our old-school appearance fool you - our staff here at Greenwich Locksmiths are electronic security experts! We were one of the first shops to start doing alarm and CCTV systems in the 80's and have kept up with the technology ever since. 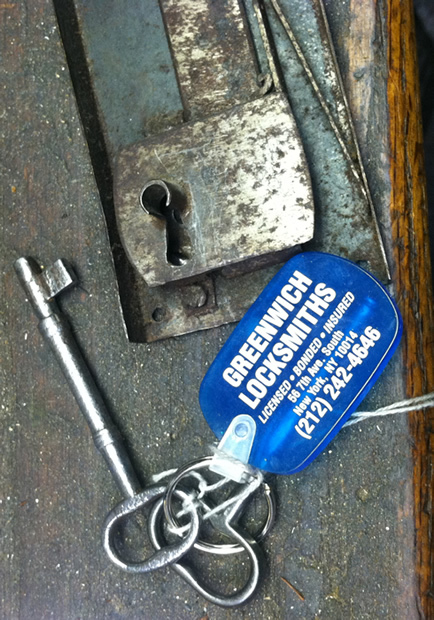 Greenwich Locksmiths services all kinds of antique lock lock hardware. Did you buy a piece of antique furniture that didn't come with a key? 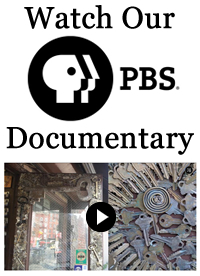 Do you want to fit keys for those old-style interior door locks in your pre-war apartment? Or perhaps you have keys for your antique lock, but it is broken? We are collectors of antique locks and enthusiasts as well, so your project is approached with the same passion as if we were doing it for ourselves. Do you need a spare skeleton key? We duplicate all kinds of antique/vintage skeleton keys, no matter how intricate or old they are. 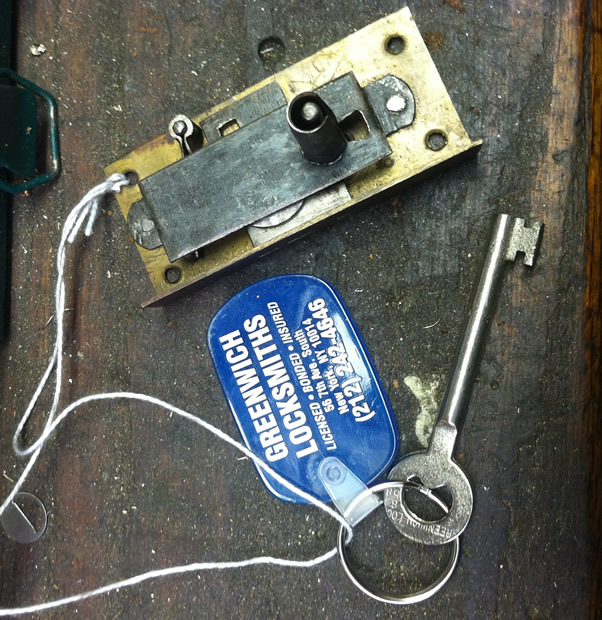 Greenwich Locksmiths owner Philip Mortillaro is a safe expert. 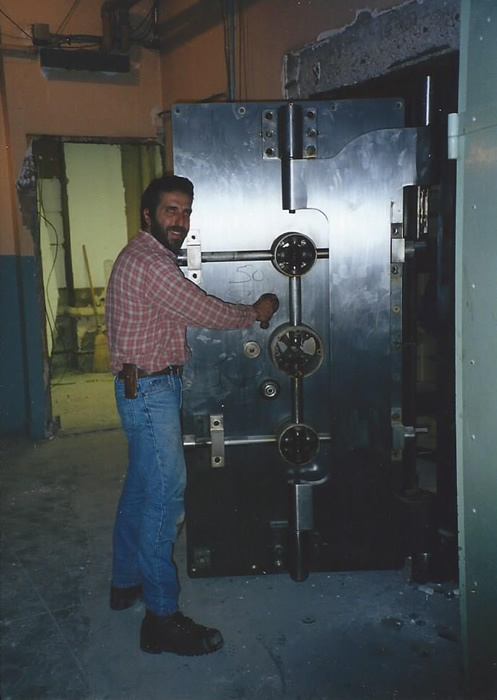 If you need your safe or vault opened or repaired he can help. Greenwich Locksmiths is also a Gardall dealer, so you can buy any safe you see on the Gardall website through us. In addition to safe opening we provide a full range of services such as safe combination changes and upgrading traditional safe dials to touch keypads. In a master key system, each lock has its own key that opens only that particular door. There also exists a "master key" that opens all the locks in the system. As demonstrated above there can be multiple levels to a master key system depending on your needs. Master key systems are usually found in commercial environments, but can be applied in a residential situation as well. They are appropriate in any environment where you want to grant access to some doors and restrict access to others. We service all master key system types including Schlage, Sargent, BEST, Falcon as well as others. If you lost the keys to your filing cabinet or need to secure a filing cabinet that does not lock at the moment, we can help. The most common (and affordable) way to make keys for your filing cabinet is by giving us the code off the front of the lock (where you put the key into.) This saves the cost of a technician coming to your location to make keys. You can call the key code numbers into our shop and pick them up - usually within the hour. The most common reason for calling us is to change your lock cylinder - fitting new keys to your lock so the old ones no longer work. We proudly charge a $125 flat rate to change any lock. No matter what kind of deadbolt, door knob of any kind, Medeco, Mul-T Lock etc. we can re-key it for $125. This may sound higher than the $25 and below service call our competitors claim to charge, but once you are done with the hidden fees and items it will come out to as much as if not more than $125. Think about it - how can anyone possibly stay in business charging only $25 for a licensed locksmith to drive to you in a company vehicle and provide you with quality lock or cylinder hardware? It is a scam. Getting keys made that work here in New York City is not always simple. Hardware stores that have a key machine are not locksmiths, and most of the time the keys they make don't work. Automated machines only copy basic keys and are more expensive than us. 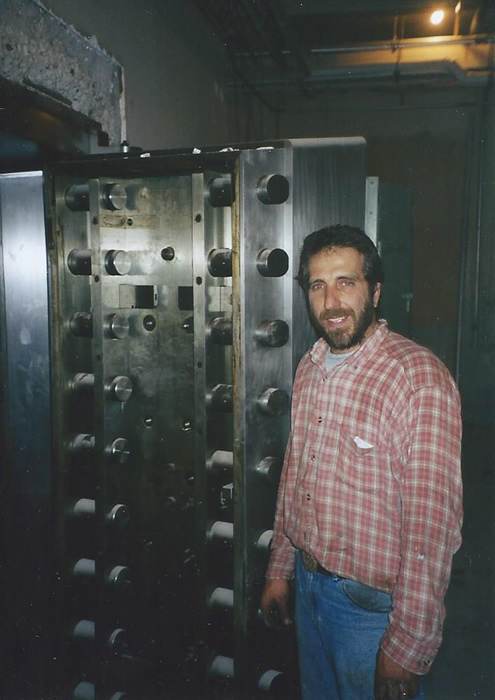 We understand the individual processes associated with duplicating the variety of lock and key manufacturers that are prevalent here in New York City. Our shop has nine different well-maintained machines for duplicating keys from not just New York but all over the world. Our keys are guaranteed to work so you never have anything to worry about.